Are You About to Make These Design Mistakes in Your Reception Area? Just a few small adjustments to your reception-space design can make all the difference…between a stellar entryway and one that seems off the mark. Selecting more furniture than you need can make your space visually overcrowded. Plan your space first, based upon function: number of seats for visitors, size of chairs to fit the space, reception-desk size to accommodate number of people and job performance needs. Selecting colors that are harder to match can make getting the right color combination difficult. For example, it’s easier to match paint to carpeting or seating than the other way around. The lack of one main focal point in your entryway provides the eyes of your visitor with too many directions to see. Selecting a view overlooking the city or mountains can be an option. 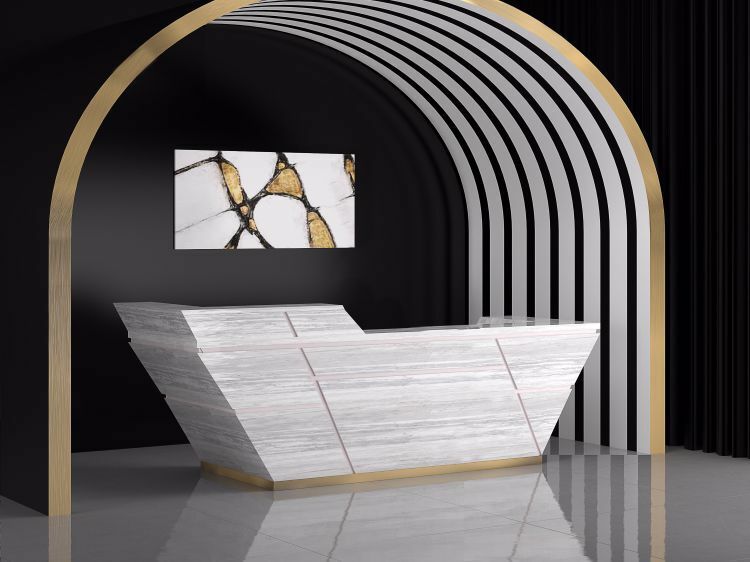 If you are not so lucky, let a unique reception desk or an exciting art piece become the main attraction. 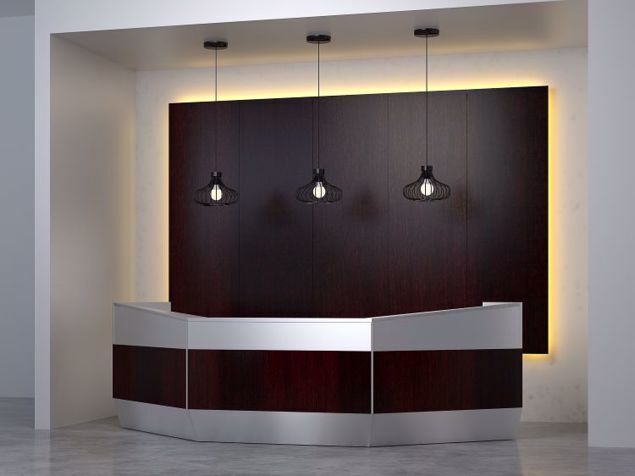 When it comes to using your modern reception desk as a focal point, we at 90 Degree Office Concepts work hard to create contemporary designs to serve as eye-catching points of interest. Imaginative use of shapes, materials, and colors can make your lobby pop. 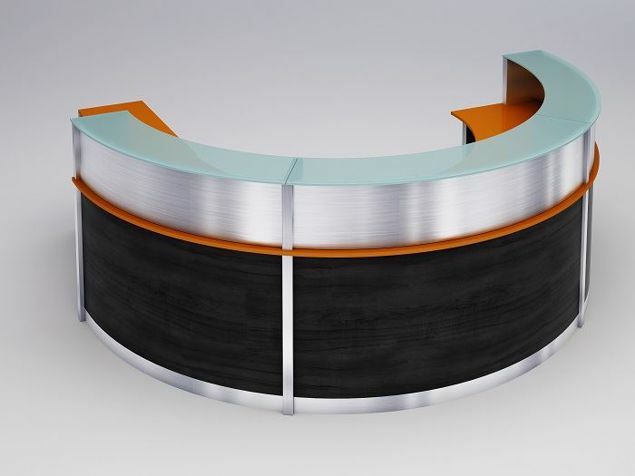 The Chula Modern Reception Desk is a true example of a focal point coming to life. It is the essence of attention-grabbing presence. 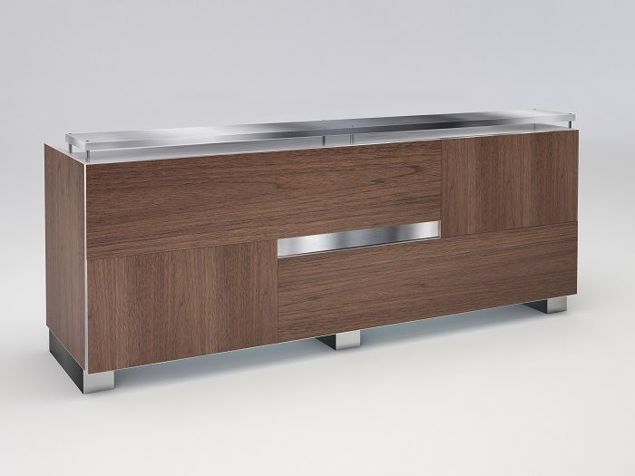 Its unique, angular lines represent the starting point of design originality. The option of adding stone takes the design element a notch or two higher. 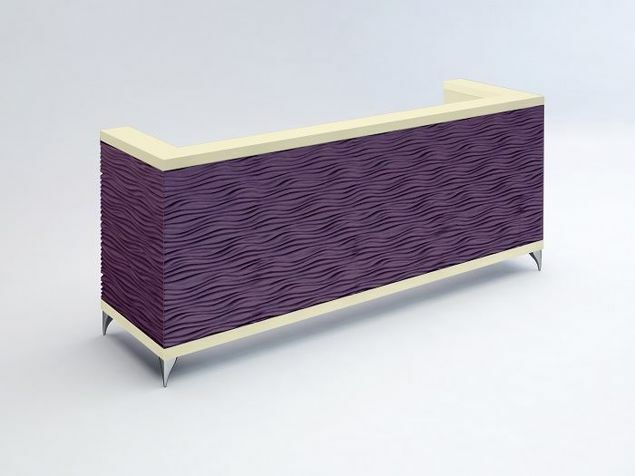 However, an entry-level laminate as choice of material can be a show-stopper, as well. You can choose an exterior material from the wide range of colors and types available in the laminate price category, or upgrade to wood veneer, metal, glass, or stone. Select a size that is suitable for your office footprint (starting from 26" x 72" W x 42" H) and workspace needs, and we will help you make your focal point one to be remembered. The Chula Modern Reception Desk shown here (26" x 120") is designed in white porcelain with gray veining. The Wispy Pink inlay softly highlights the porcelain. A glimpse of the interior edge shows a touch of Wispy Pink on the face. $9,971. Can’t Make It Work the Way You’ve Planned? Don’t panic! You can select the size, material, color, and finish you want for that distinct look. Need to upgrade or adjust something to be workable? We can help. Let us show you how to put it all together affordably. It’s simple! Just tell us what you want. Call us: 855-699-0334.